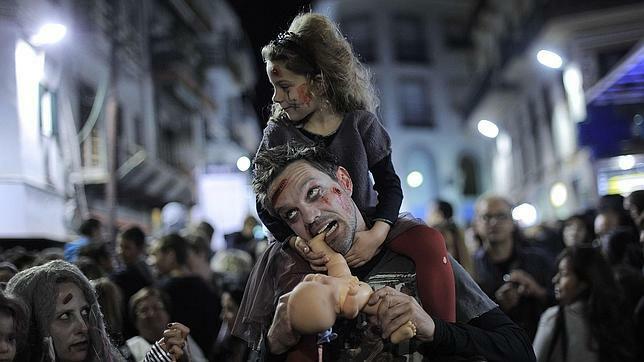 Every October during the famous Sitges International Festival of Fantastic Cinema of Catalonia there is a proud and unwritten tradition to “Zombie Walk”. Locals and visitors alike visit the horror cinema festival dressed up as zombies following certain routes to enter which has now become the annual Sitges Zombie Walk. These zombies walk in re-decorated horror themed streets to create an illusion of real zombies and to hopefully scare others. If you’re not afraid of eerie zombies than this is an event you should be dying to see! 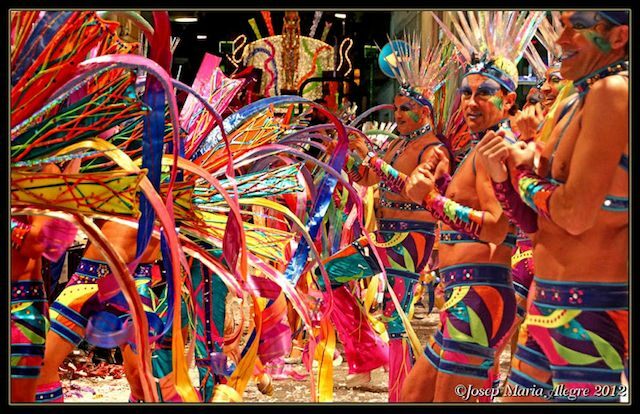 Nicknamed the Mardi Gras of Sitges, vibrant Sitges Carnival has been dedicated to Lard Thursday and happens annually a week before Ash Wednesday. The highlight of the carnival is the 4 parades, two are for children while the other two are for adults. These parades happen on Sunday and Tuesday during the festival week. These parades allow over 50 floats from local societies and groups to show off their colourful talents to worldwide viewers. To open the festival, a locally picked His Majesty Carnestoltes, creates critical-satirical commentary of public events and by the end of the playful ceremony the locally picked King gives his permission for unlimited fun resulting in the festivals´ beginning. Throughout the festival week many activities take place while His Majesty Carnestoltes visits parts of the town. The colourful and sensational festival ends on Ash Wednesday which results in the “funeral” of His Majesty Carnestoltles and the King is soon after sentenced to “death”. 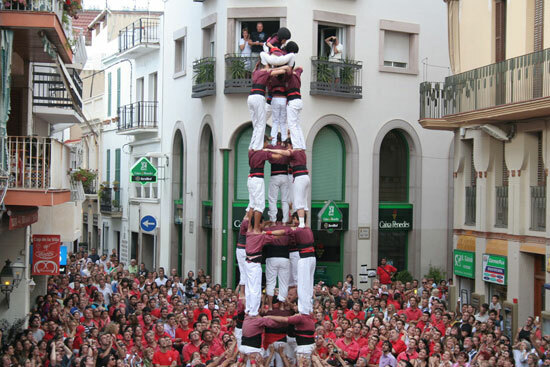 Though not an event, this historic tradition called Castell is a well-built tower of humans created in festivals while keeping viewers at edge during their performance. This deep Catalonia tradition has been declared by UNESCO to be “Amongst the Masterpieces of Oral and Intangible Heritage of Humanity”, making it a must see event! However, if there are no events in Sitges in the near-future you can always pop by and observe Colla Jove de Castellers de Sitges, the local Castell club. They have rehearsals in winter on Fridays from 8:30-11:30 in Instituto Joan Romón Benaprés and in spring and summer they also have rehearsals on Tuesday from 8:30-10:30 and Fridays from 9:30-11:30. All rehearsals are open to the public and visitors are always encouraged to join the fun! 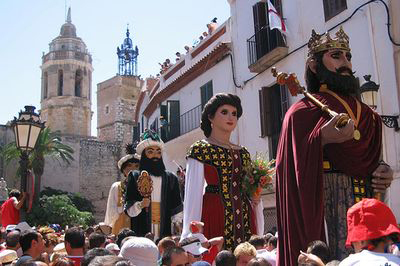 long-established Festa Major is held in town to honour the shared patrons of Sitges: Sant Bartomu and Santa Tecla. On August 21-27 locals and visitors gather for exploding fireworks, lively folk dancers and live music that fills the town streets every year. One of the main, and unusual, events that take place during this time is on August 23 when folk dancers with large papier maché heads of dragons, eagles and giants dance along the streets to better represent the two saints. Everyday there is a new sceptical that symbolises a traditional event and that has to be rigorously performed at special times in the day. This historic and religious event is heart-warming and joyful which will bring any family bright holiday memories. One of the prettiest events in Sitges is the annual Corpus Christi Flower Festival. 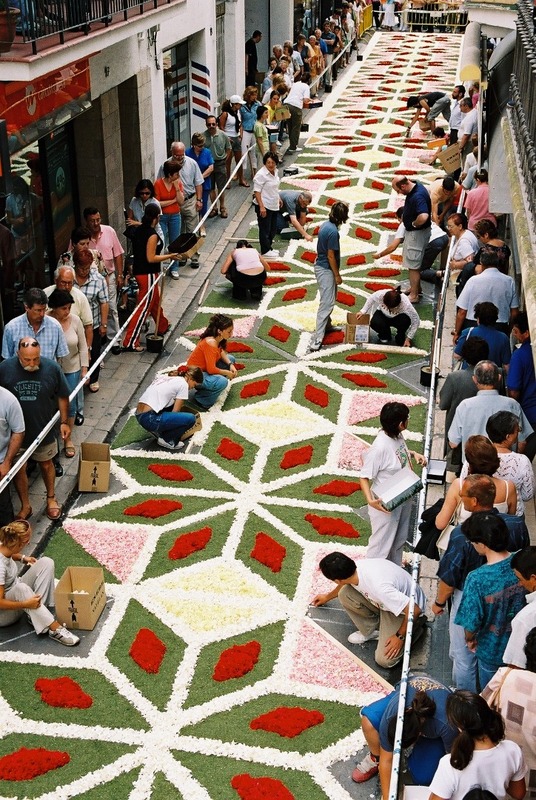 Sitges celebrates Corpus Christi every year by decorating the streets with designs made from different florals. Neighbours try to out-compete one another by decorating their streets with the most colourful and indicate flower designs all in hopes of winning unknown prestigious prizes and bragging rights for the year. Visitors are welcomed to join the competition as decorating takes place on Saturday and judging is the next day on Sunday. At 8pm on Saturday the flowers arrive and the volunteers start sketching their designs working late into the night. The next day at 10am there is a city wide guided tour of all the streets with the different collages, patterns and designs. It surely is not an event to miss! The 11th of September is National Day for the Catalonian people which commemorates the defeat of the Catalan troops during the War of Spanish Succession in 1714. During this battle the Catalan troops were defeated by the troops of Bourbon King Philip V of Spain. This is the same king who had abolished the ancient privileges and charters of all Spain’s medieval kingdoms including Aragon and incidentally, Catalonia. On this day, there are local politician speeches, commemorative acts, concerts, floral offerings and more all dedicated to the holiday. Other celebrations and activities in Sitges are more likely to happen around this time too! 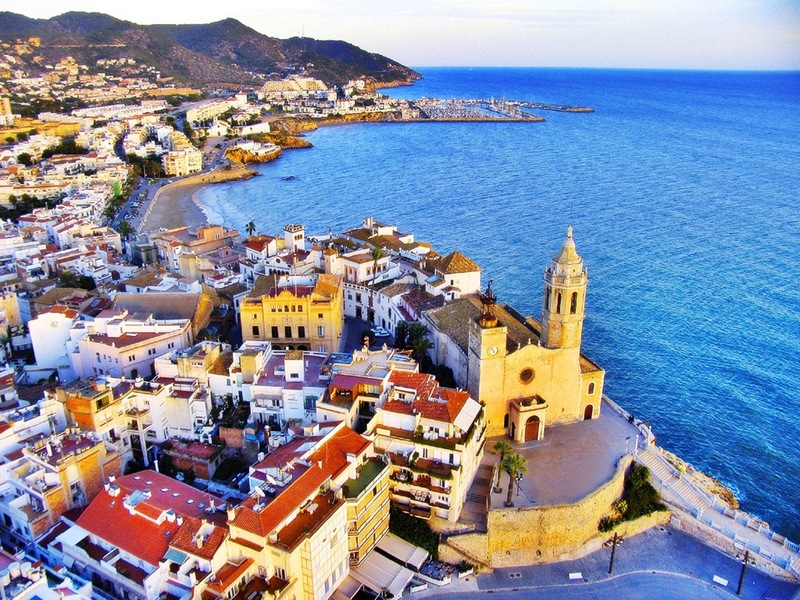 Sitges is a lively town with sun, beach weather and most of all exciting family events. But entertainment shouldn’t break the bank for visiting families! If you want free entertainment that will bring lasting memories to your children, why not try these free events that the whole family will love? Enjoy your stay in our familial aparthotel in Vilanova!